Want to escape from the freezing weather? Let China.org.cn guide you through the country’s top five most suitable destinations to warm up this winter. Kunming, capital city of southwest Yunnan Province, is known as the "city of perpetual spring" for its pleasant year-round spring climate. 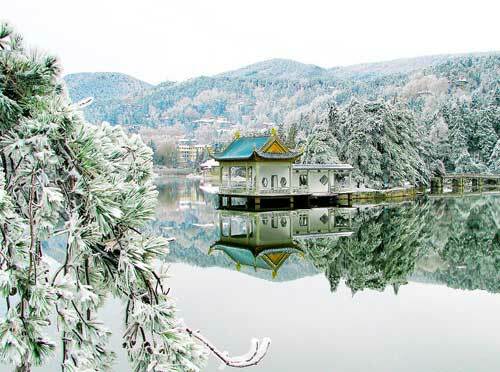 As one of the most popular tourist destinations in China, Kunming has many must-see attractions, such as Dianchi Lake, Heilong Pond, Shilin (Stone Forest), Guandu Ancient Town, Cuihu Lake, Xishan Mountain, Ethnic Culture Village and the Horticultural Expo Garden. With a history of more than 2,400 years, the city is home to many ethnic groups, including Yi, Hui, Bai, Miao, Zhuang, Dulong and De’ang, which give the area a colorful and unique culture. Kuming is a warm respite from the country’s wintery regions. Located on the southern bank of the Yangtze River south of Jiujiang City in northern Jiangxi Province, the Lushan Mountain whole scenic area covers an area of 302 square kilometers, with the 1,474-meter Hanyang Peak as its highest summit. Featuring magnificent peaks, strange stone formations, unique waterfalls, flourishing trees, and many historical sites, the mountain is labeled as one of the most famous sites in the country and was included in the UNESCO world heritage list in 1996. When winter comes, especially after snow falls, the mountain will be wrapped with a white carpet, making it an ideal place to capture the winter beauty this season. Getting there:Take travel bus from Nanchang Bus Station (ticket: 36 yuan) or Jiujiang Coach Bus Station (ticket: 9 yuan). 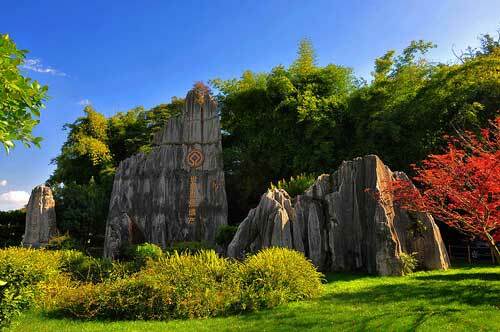 Xishuangbanna is an autonomous prefecture located in southwest Yunnan Province. 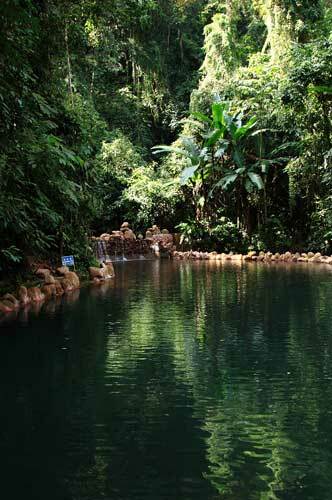 With its mysterious rainforests, rare plants, wild animals and tropical fruits, it is unquestionably one of the most beloved destinations for travelers all year round. Besides amazing natural beauty, the place is also a home to 13 different minorities, including the Dai, Hani, Bulang, Layu and Jinuo, which make it an ideal place to discover unique culture and experience interesting customs. In December, the weather there becomes dry and warm; it’s the best time to escape winter and enjoy the scenery. Getting there: You can fly to Xishuangbanna Airport from Kunming, Tianjin, Shanghai, Chengdu, Chongqing, Lijiang and Dal, then take a train, bus or flight to Jinghong. 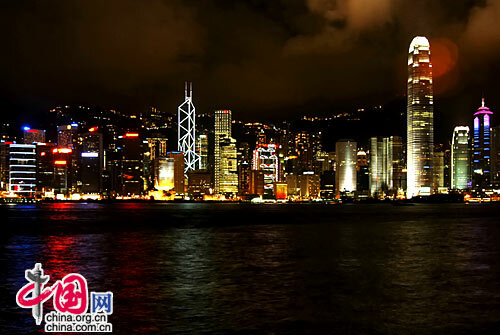 As the "Pearl of the Orient", Hong Kong is a leading financial, banking, trade and tourism center around Asia and the world. Situated off the southeast coast of China, Hong Kong is renowned for its impressive natural scenery and splendid man-made wonders. When traveling there, visitors can swim and sunbathe on the Repulse Bay; visit Ocean Park and Disneyland; take pictures at the Golden Bauhinia Square and the Avenue of Stars; enjoy stunning panoramic views at Victoria Bay and The Peak. After a busy day of sightseeing, dinner and drinks along Lan Kwai Fong is the best way to relax. A delight for shoppers, Hong Kong is arguably the best place in Asia to get something for everyone on your Christmas list. Situated on the southern tip of Hainan Province, Sanya is the southernmost city on the island. 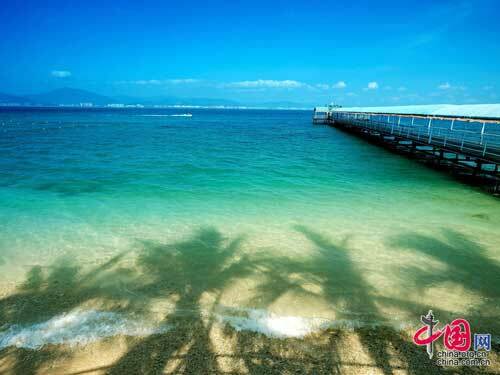 Featuring blue sky, beautiful beaches and clear water, Sanya is perhaps the most famous coastal city in China. The climate is hot in summer but warm in the three other seasons. When other cities are shivering in this month, a stroll along the coastline and breathing the fresh air will provide you with a warm, comfortable holiday.